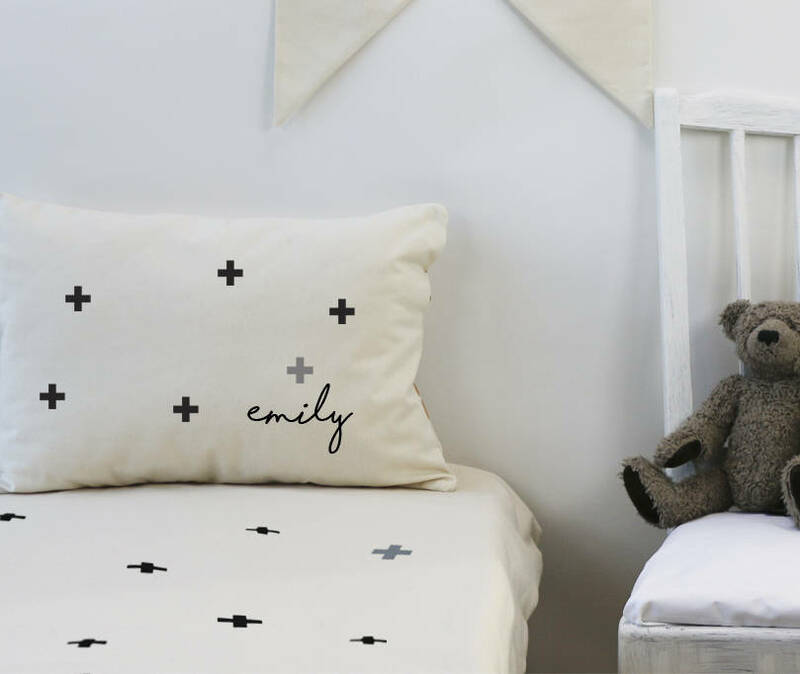 A fashionable Scandinavian style bedding set for the nursery. 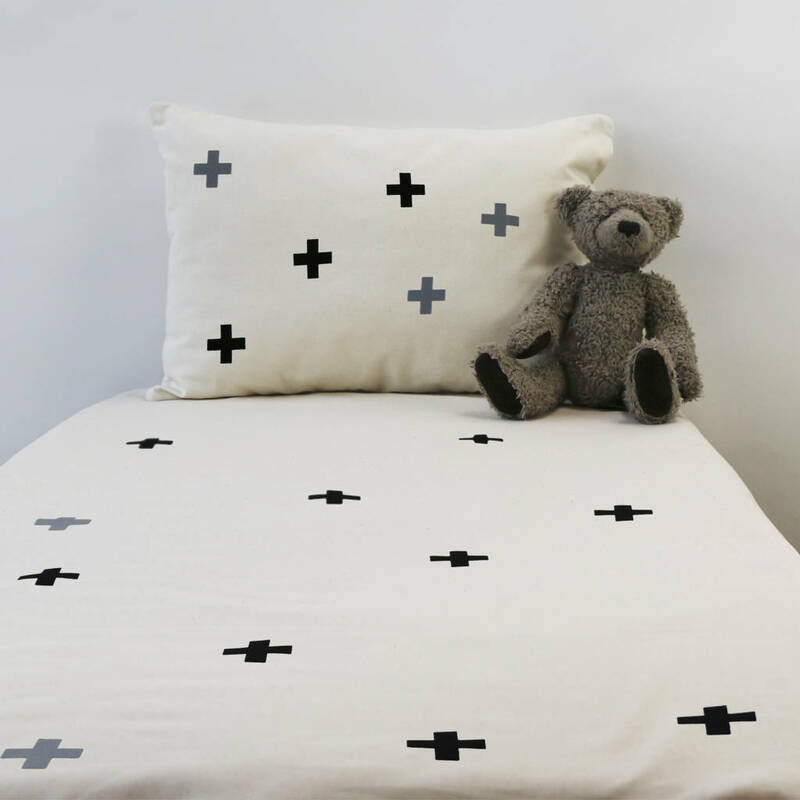 Complete your child's nursery with a beautiful cotbed duvet cover set in monochrome off white with black and grey. This stylish 2 piece set is made of unbleached soft cotton and hand printed with plus signs and will go with most home decoration styles. You can also choose to add a quote of your choice and/or add a name to create a unique and personal gift. Duvet and inner pillow not included. You can even choose your own print colour, we stock most colours. Please just let us know, and we will print this according to your wishes. 100% unbleached and natural cotton. 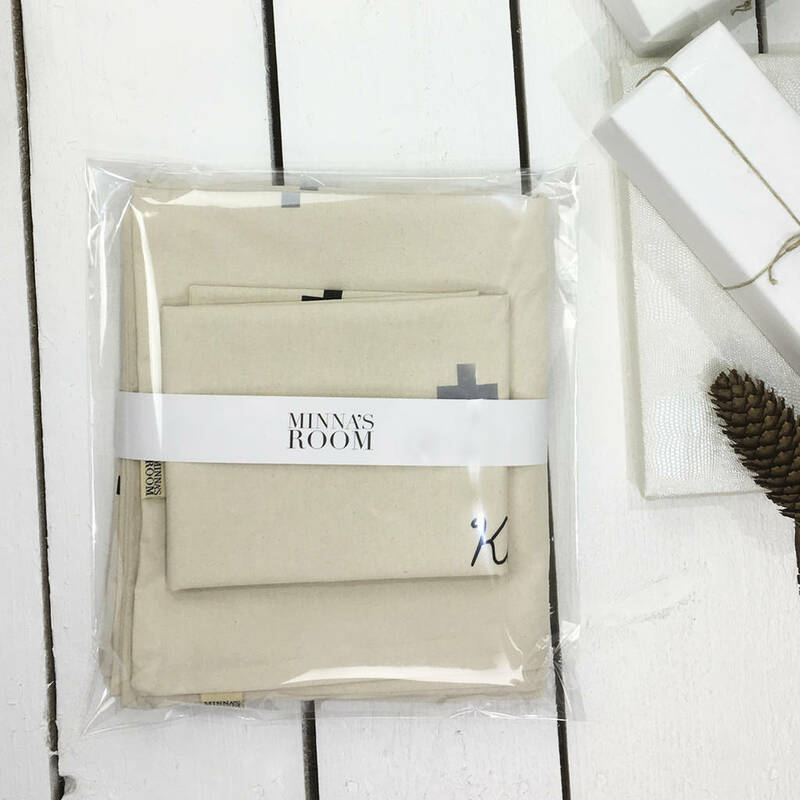 Duvet cover: L 150 cm x W 120cm, Pillowcase : W 60cm x H 40 cm. This product is dispatched to you by Minna's room.